A matrix of heavy steel reinforcement mesh was cut and laid in the shop floor earlier last week in preparation for the weekend concrete pour. Before sunrise on Saturday a non-stop procession of cement trucks began rolling into the GSMR Dillsboro yard, the home of our new steam shop. With the help of a very large flood light, the 90 cubic yard concrete pour had begun. 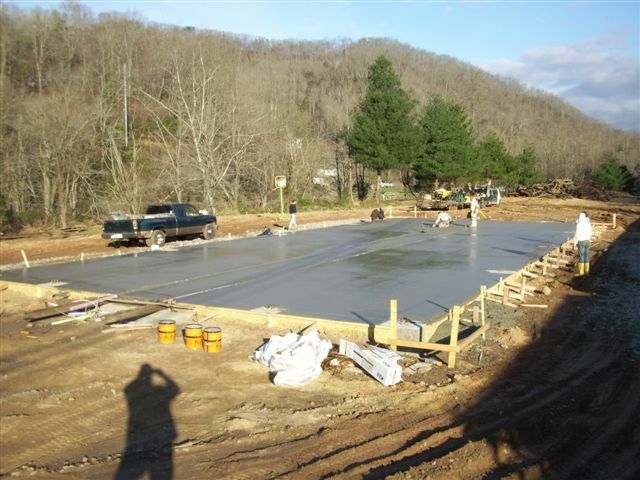 By the time the sun was high enough in the sky to provide working light, all the concrete had been poured and the concrete finishing crew had started their task of smoothing and leveling the pour. 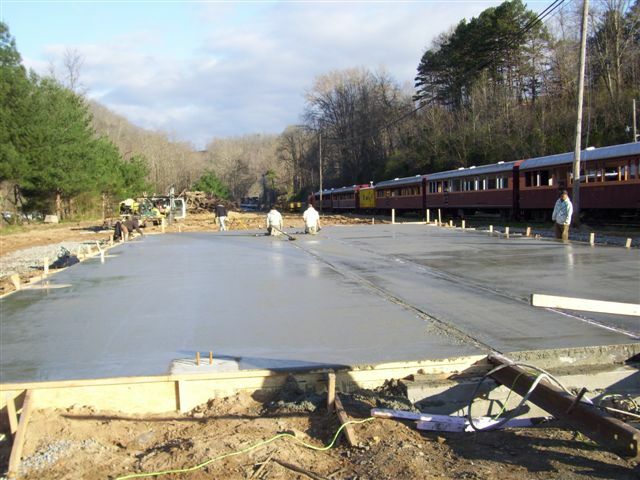 This is the final pour for the shop and it consisted of pouring the outer perimeter footers and the entire floor surface which was finished right up to the top of the rail and flangeways that run through the entire length of the shop.